After some very effective new hire training sessions and some first customer meetings I thought it could be a good idea to wipe off the dust and do some python stuff. Maybe you know that Nutanix has a beautiful REST API which you can use to develop great things like portal solutions or integrations. I thought it´s a good option to have a short way to see all protected and controller VM´s managed by PRISM. print "\nPlease make your selection:\n"
print "This is a Controller VM." 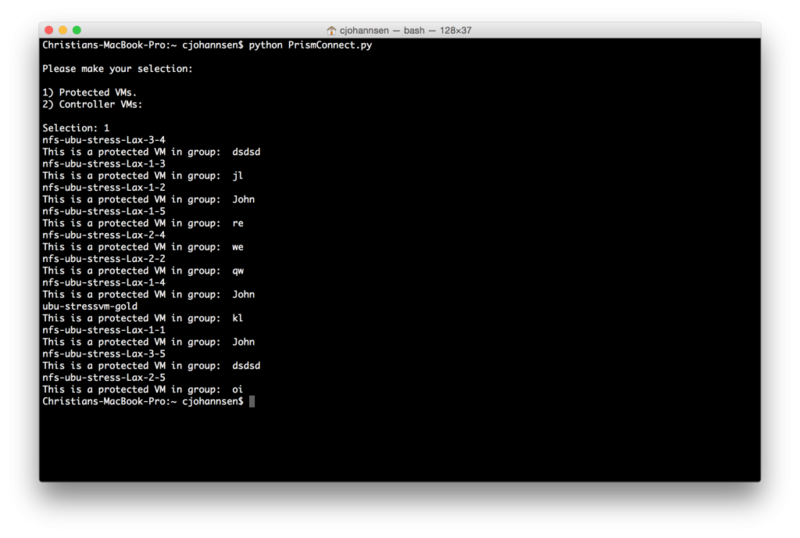 When starting this from the command-line you can select the protected VMs (1) or the Controller VMs (2).